Platelet-rich plasma (PRP) is a regenerative medicine procedure that focuses on utilizing the growth factors to create a healing response. This has been incorporated in musculoskeletal medicine to treat muscle, tendon, ligament, and arthritic conditions. 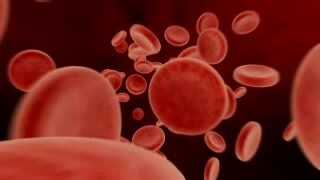 The growth factors present in PRP have a variety of mechanisms to create healing response in the body. Various inflammatory chemicals that are found as a reaction to chronic joint abnormalities from tears to degeneration can irritate joint surfaces. The growth factors that are present in PRP can negate this negative influence and also work locally on the tissues to signal other positive cell responses to create the healing effect. This is a powerful tool to treat chronic pain and dysfunction in a much more sophisticated and scientific method rather than relying on old‑fashioned remedies such as anti-inflammatories, cortisone injections, and relative rest. The problem with allowing these inflammatory problems to continue to occur with underlying joint disorders leads to a progressive degenerative phenomena resulting in erosive arthritis. Incorporating the potential healing effects of the growth factors from platelet-rich plasma or PRP is a significant step towards effective treatment. 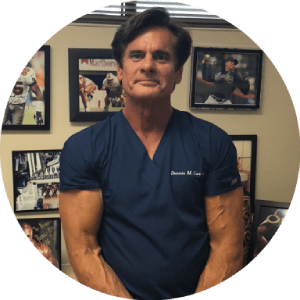 Dennis M. Lox, MD, serves patients in the greater Tampa Bay area, including, Clearwater, St. Petersburg, Tampa, New Port Richey, Sarasota, and Spring Hill. He has been pleased to accommodate the needs of patients throughout Florida, the United States, the Western Hemisphere, and Europe, as well. Located in the 33765 and 33765 areas, our offices can be reached at (727) 462-5582 (Clearwater) and (727) 817-1909 (New Port Richey). Call to schedule your visit today.